The menu is set. The time line is worked out. I still need to decide on serving dishes and we need to fill all those eggs for the big hunt. I’m waiting on 1000 eggs to arrive. It will take hours to fill them and the kids will find them all within twenty minutes! Good, good times await! 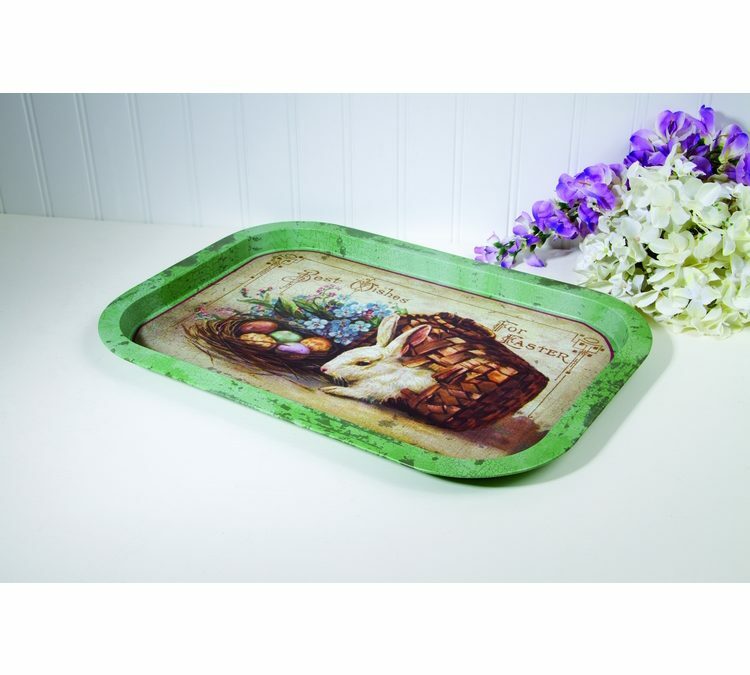 We have the sweetest, food safe, Easter tray in stock. If you don’t buy them all up one of them may see my Easter spread. I’ve placed it on sale for $11.99. Reduced from $13.29.